Fast rising singer Amarachukwu Amarachi Mercy, a student of Mass Communication from the University of Nigeria (UNN) Nsuka, is set to dazzle at the grand finale of Splash Talent Heroes Show, which holds Sunday, Dec. 9 in Port Harcourt, the Rivers State capital. 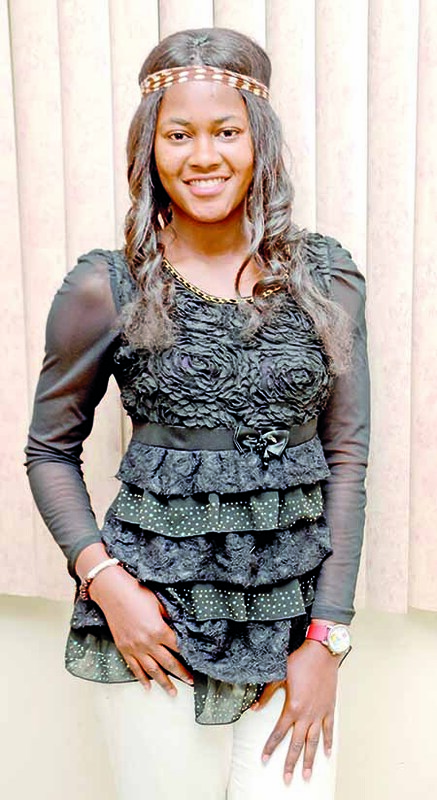 In a chat with TS Weekend, an excited Amarachukwu said: “I’m so excited to have come this far. I want to thank my fans for supporting me. To reach this stage I performed Sia’s Chandelier. It’s not been easy but I thank God I have pushed it so far. What’s kept me going is my passion for music and the love my fans have been showing me. The singer also opened up on her crush on Davido and why she wants to join his 30Billion Gang. Amarachi continued: “He’s a very hard working guy despite his father being rich. He walked out of the shadow of his father and created his own identity with his music and he has impacted Nigeria and Africa as a while. To date she has recorded tracks like African Woman, Baby Boy, Tonight, Owo Blow and Somebody.